They say April is the cruelest month. I never really understood what that meant until this year. After a notably mild winter, I'd hoped that the unusual warm weather would continue through spring, so I could start early on all my big crazy garden projects. But Mother Nature had other plans, as she often does. The ground is still frozen solid, and it's snowed — or sleeted or ice-rained — for eight of the past 10 days. Suffice to say, things don't seem all that springy. One bright side to this grim-reaper weather? It's still soup season! I had a fridge full of beer and cheeses and winter veggies. I figured I'd add a few fresh treats, like some spry green onions I picked up at Dutton Berry Farm's West Brattleboro farmstand last week. 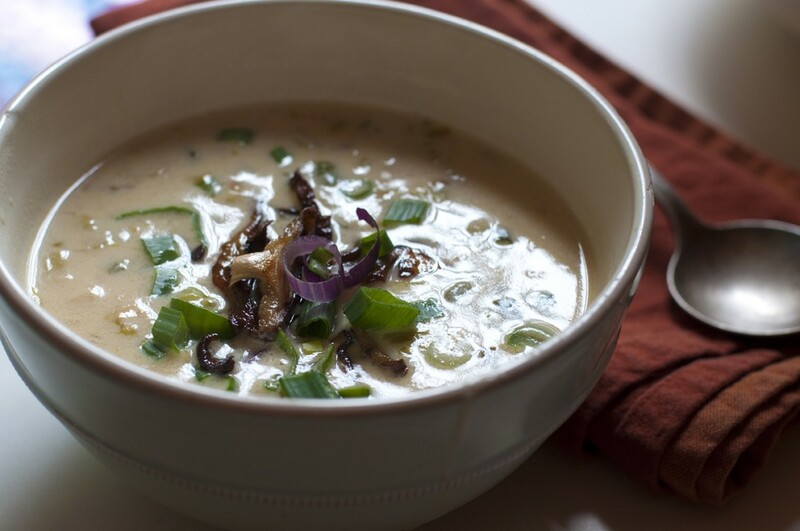 Those added zip to a classic cheddar-ale soup, which I made with Cabot cheddar, Switchback ale and crispy shiitakes from AH Mushroom. And guess what? It takes all of 25 minutes to make, and it'll keep you warm until the sun decides to shine again. In a large saucepan, melt the butter over medium heat. Add the garlic, celery and onions and sauté for 3-5 minutes, until they just begin to brown. In a separate pan, heat the sliced mushrooms with the olive oil over medium-low heat, turning occasionally, until they're crispy, 15 or so minutes. While the shiitakes are cooking, sprinkle the flour over the other veggies. Stir until everything is well coated and the butter bubbles against the hot pan. Pour in half of the beer. Stir and simmer until the mixture begins to thicken, then lower heat to medium-low and repeat with the rest of the beer. Follow with the water or stock, then with the milk and half and half. Stir continuously for a couple minutes until everything is well-blended. Do not allow to boil or the dairy will curdle. Whisk in half of the cheese. When it disappears, add the rest of the cheese and whisk for a few additional minutes until the soup begins to darken ever so slightly. 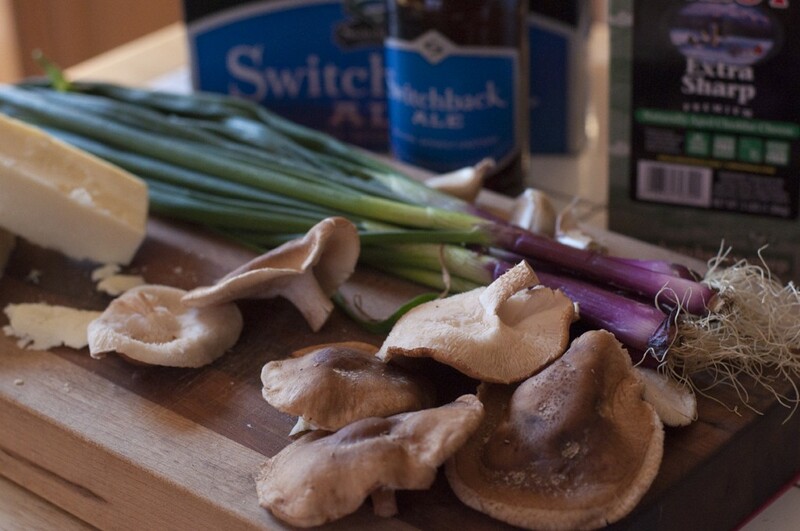 Garnish with crispy shiitakes and chopped green onion and serve hot. Crusty bread optional. Instead of "trick-or-treat," say "cheese?"